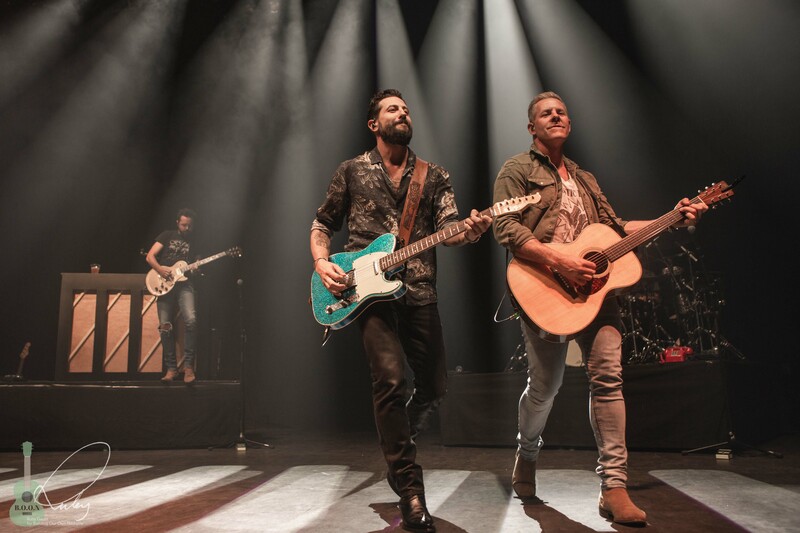 Old Dominion are by far one of the best bands in country music and are getting pretty dang close to being THE best, in fact for many, they already are. Old Dominion don’t have a bad song. It always amazes me how they aren’t bigger than they are and aren’t snapping up every award possible because they aren’t just brilliant but they are also quite unique. There isn’t a band in country that sound similar to them and they don’t write about the same old shizzle that other country acts do. I can’t even describe their sound really other than to say it is a genre of its own. Sure, there is country in their sound with a lot of rock and some indie vibe but it is clear to hear that they are just themselves. Old Dominion are a band I am excited to recommend to non-country fan friends. “Go see them live, you won’t regret it!”. 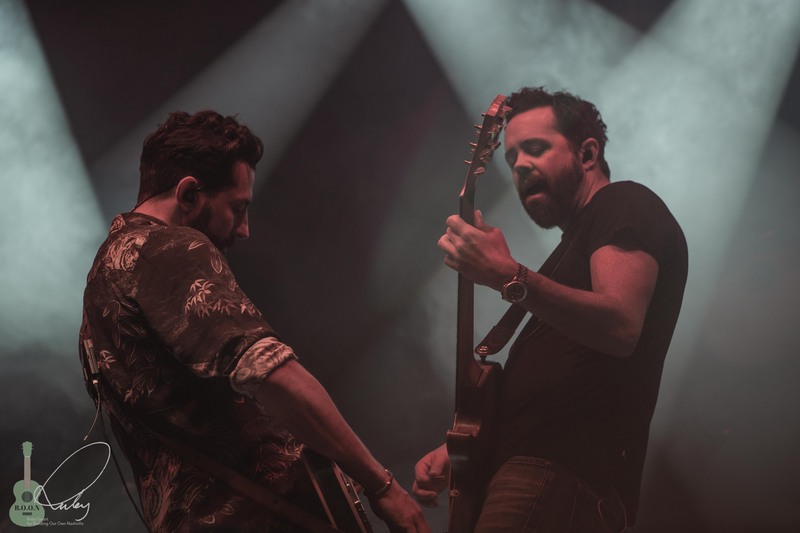 The Bristol Trinity Centre was really intimate for a band of Old Dominion’s calibre. They told me a while back that they don’t see themselves as huge stars but hey, they sold out their entire UK headline tour. The Trinity Centre kind of reminded me of the gigs I went to when I was younger going to see a punk band so it felt kind of nice to be back into a similar environment. This wasn’t your typical country crowd, just music lovers. It was a laid back crowd but they still cheered as soon as the band came on stage. Starting with Song for Another Time, the band looked ecstatic and the fans sang every word. One thing I did feel and this isn’t exactly a criticism is I think Old Dominion are better on a bigger stage. This by no means takes anything away from their performance as they were excellent and to see them in such a small venue will soon be a rarity. My point, is that the band are destined for bigger things and have a natural place on the big stages to really “go for it” on stage. Being limited to not being able to move much didn’t feel completely right but then perhaps that’s because we were spoilt by seeing the energy they had on the main stage at C2C Festival but like I said, this is a good thing because it proves that as a live act, they belong on a bigger platform. I would happily pay to see Old Dominion headline somewhere like Wembley Arena and I don’t think they are far off that to be honest. With only two albums out, the guys filled the set with adored songs such as Not Everything’s About You, Written In The Sand, Said Nobody, Hotel Key, Make It Sweet, Break Up With Him, Snapback and many more. What’s not to love about Old Dominion? These guys kill it on stage every time and it is clear to see they are good buddies and not just band members. Something about their chemistry on stage makes for a better performance and they really have each other’s backs. Matt often giggles a bit during a song which is nice to see and hear as they are all human after all and it makes for a more special show-it engages the crowd more. 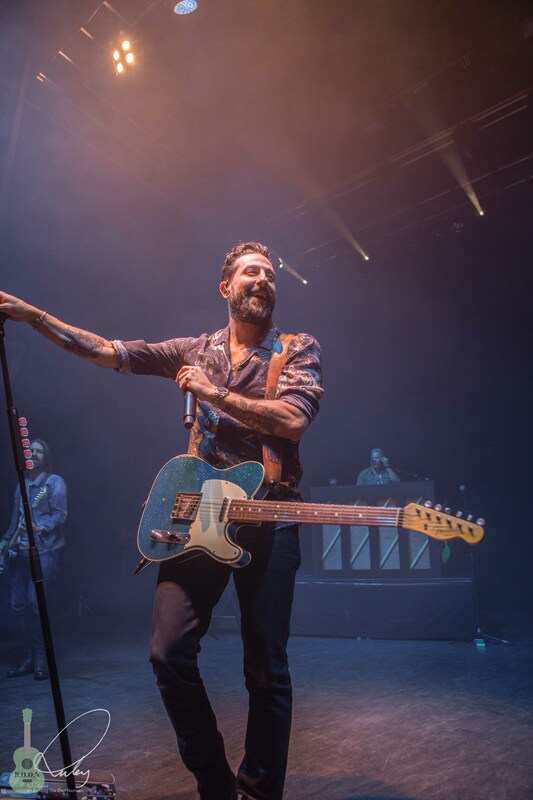 With each song being a perfect sing-a-long, I can’t wait for Old Dominion to return to the UK so we can all sing-a-long with great passion again. Like I said, this band are destined for a hugely successful future and I cannot wait to see it happen.